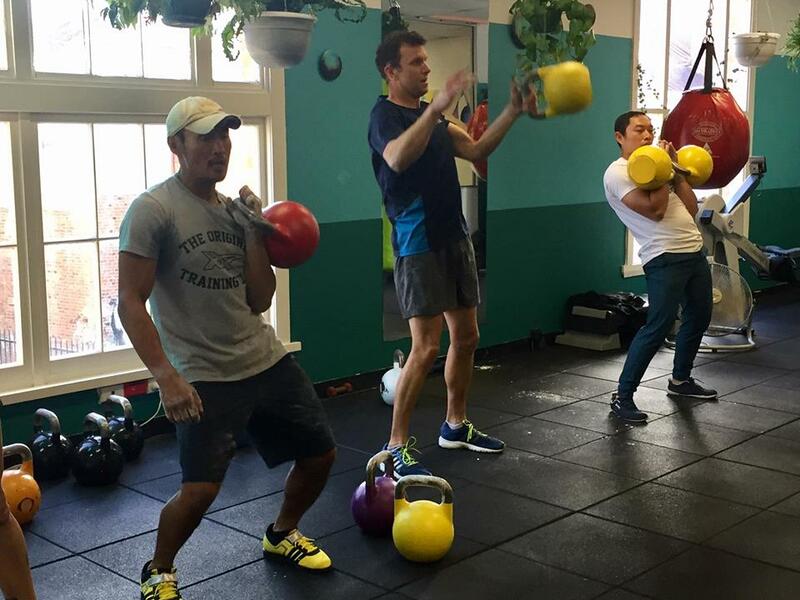 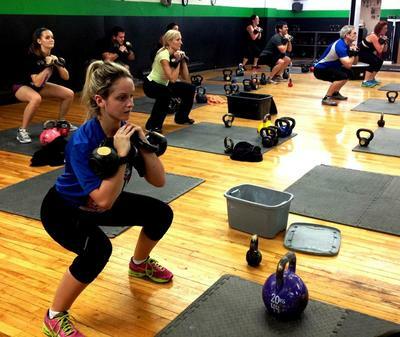 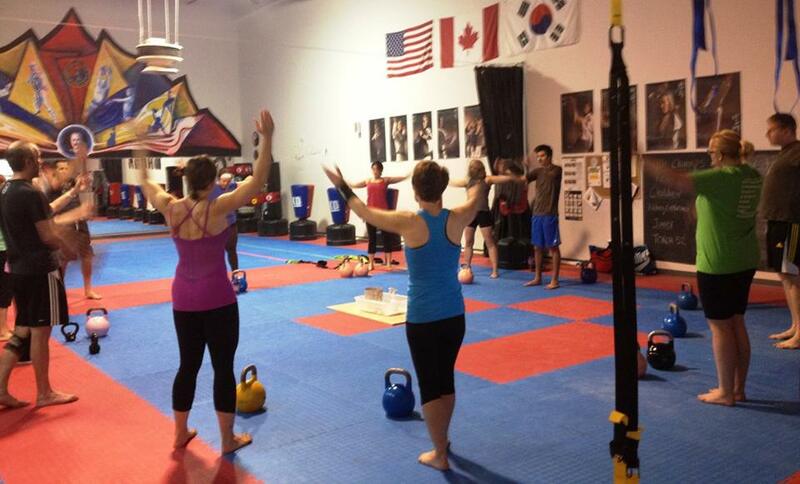 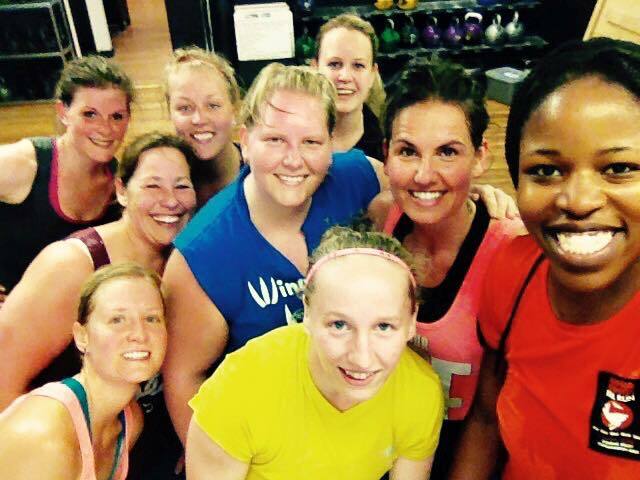 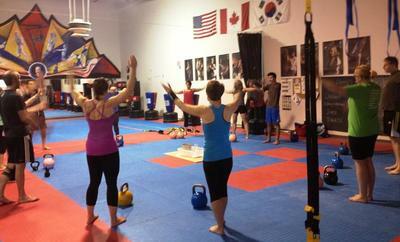 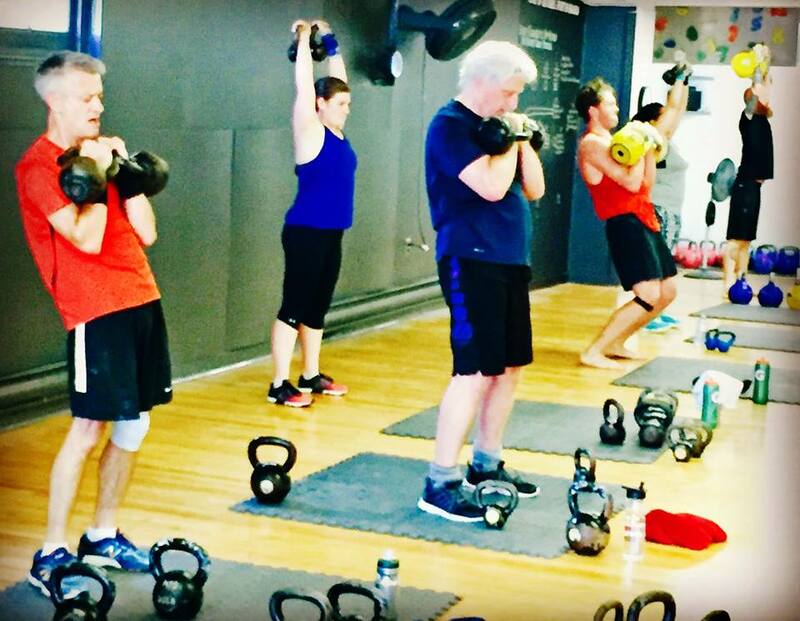 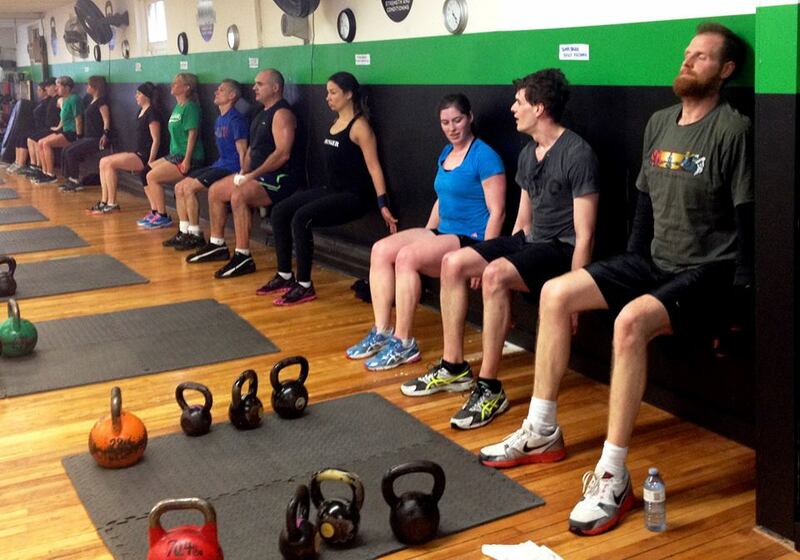 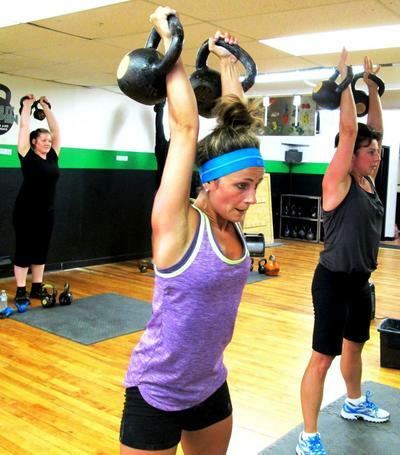 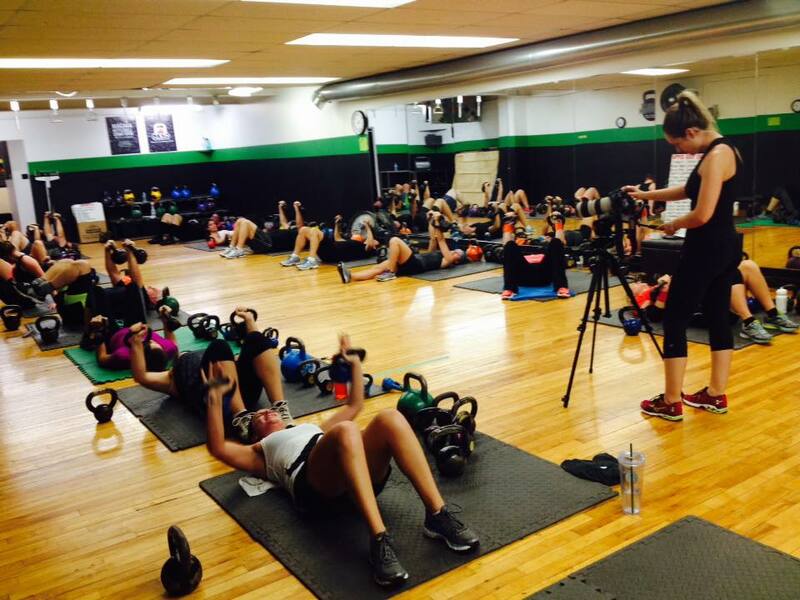 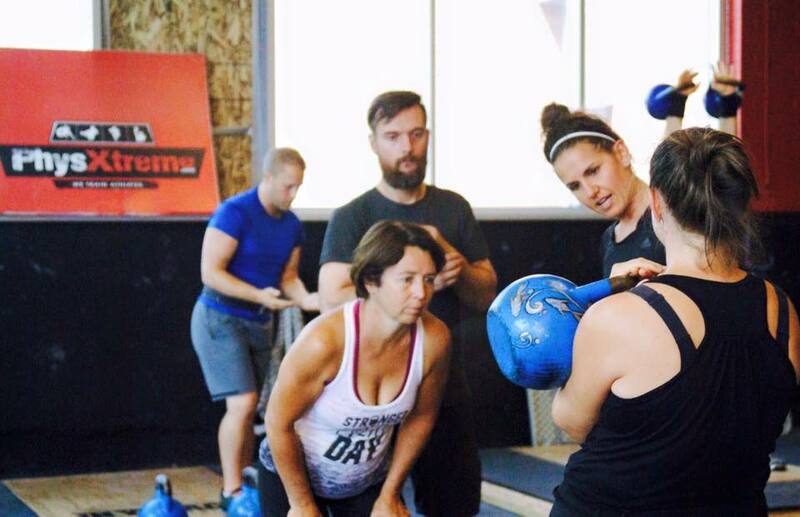 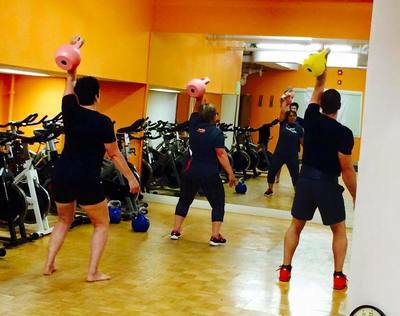 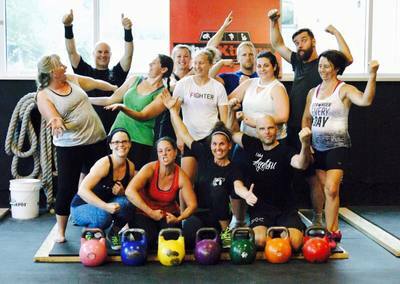 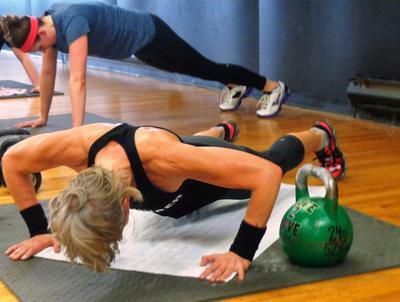 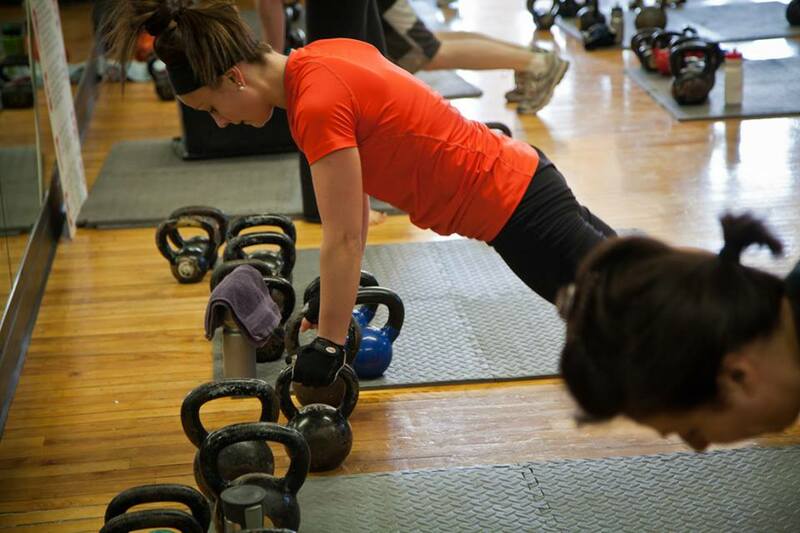 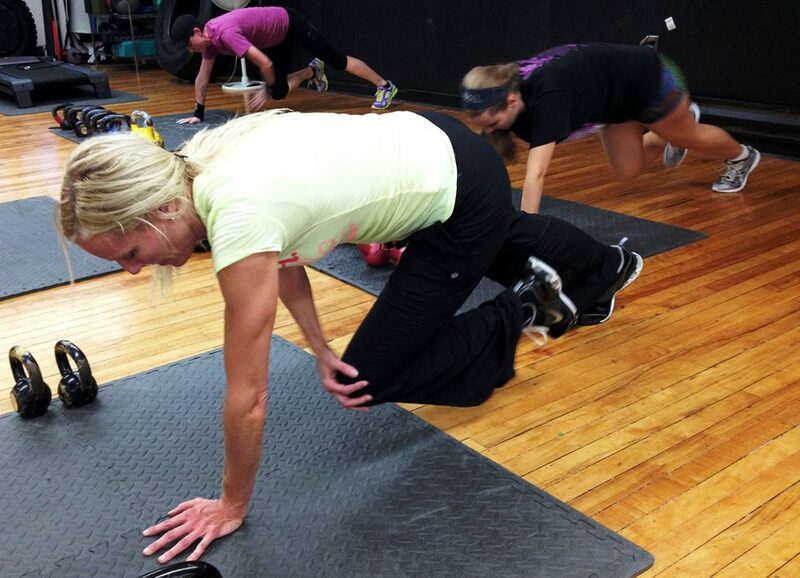 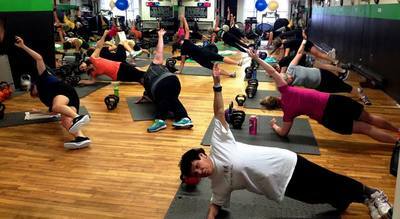 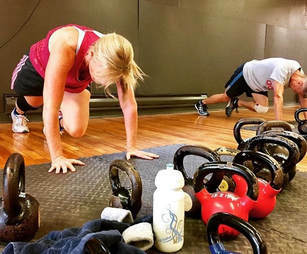 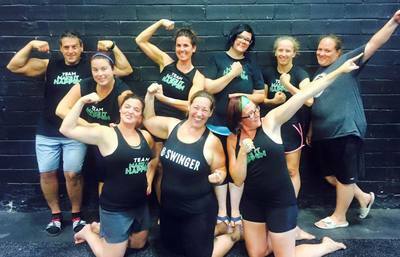 Kettlebells + Bootcamp = KettleCamp! 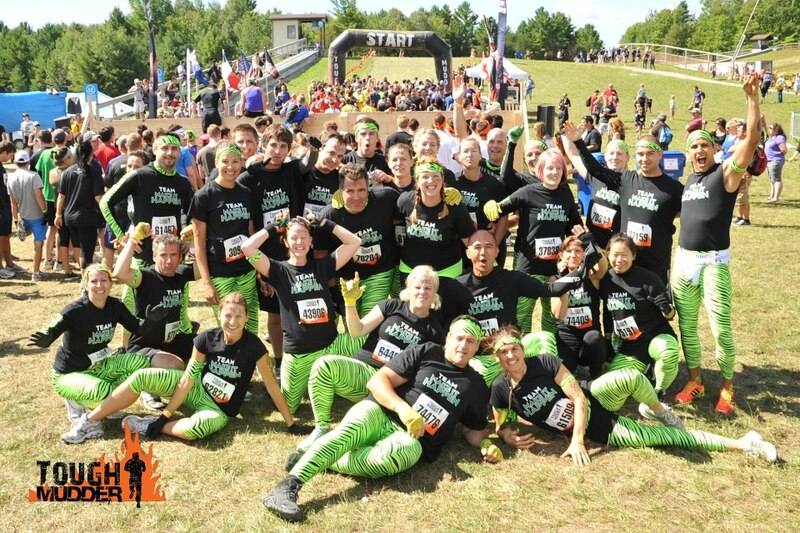 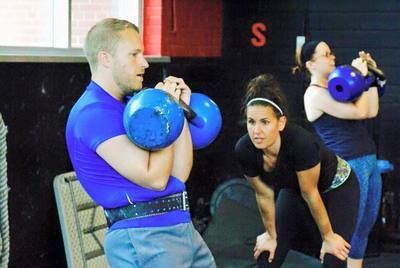 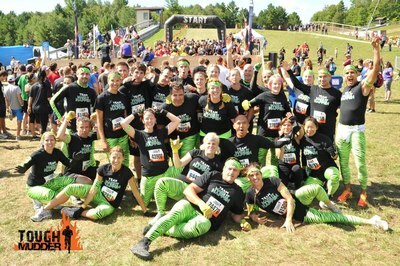 KettleCamp training (est 2007) has left thousands of people excited, refreshed and addicted to exercise! 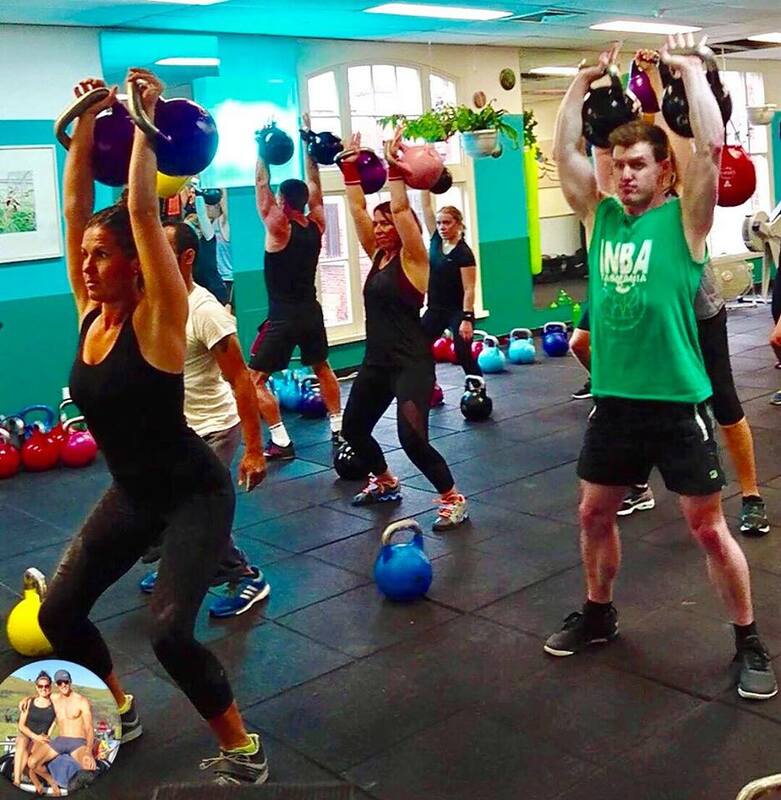 The KettleCamp training system combines over 100 kettlebell and body weight exercises to deliver the highest level Kettlebell BootCamp HIIT workouts in existence! 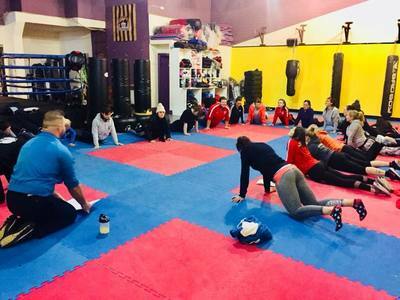 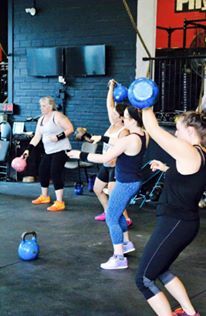 As intense as KettleCamp workouts are, they were also created with inclusiveness being a main priority and, thus, can easily modified to all levels of fitness and most physical limitations. "I went from a healthy 145lb University athlete to a fit 127lb multiple World Record Holder working with Jennifer Hintenberger since 2009. 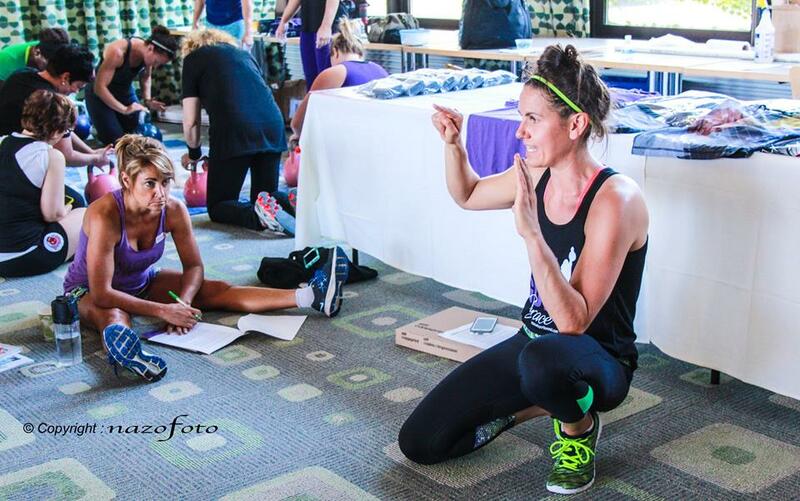 As a previous personal trainer, TRX coach and the first Certified KettleCamp instructor, I can honestly say Jennifer Hintenberger's KettleCamp workouts are AMAZING and filled with variety. 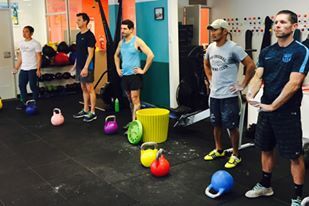 They continue to help my running and kettlebell performance while keeping me healthy and fit before, during and after two pregnancies! 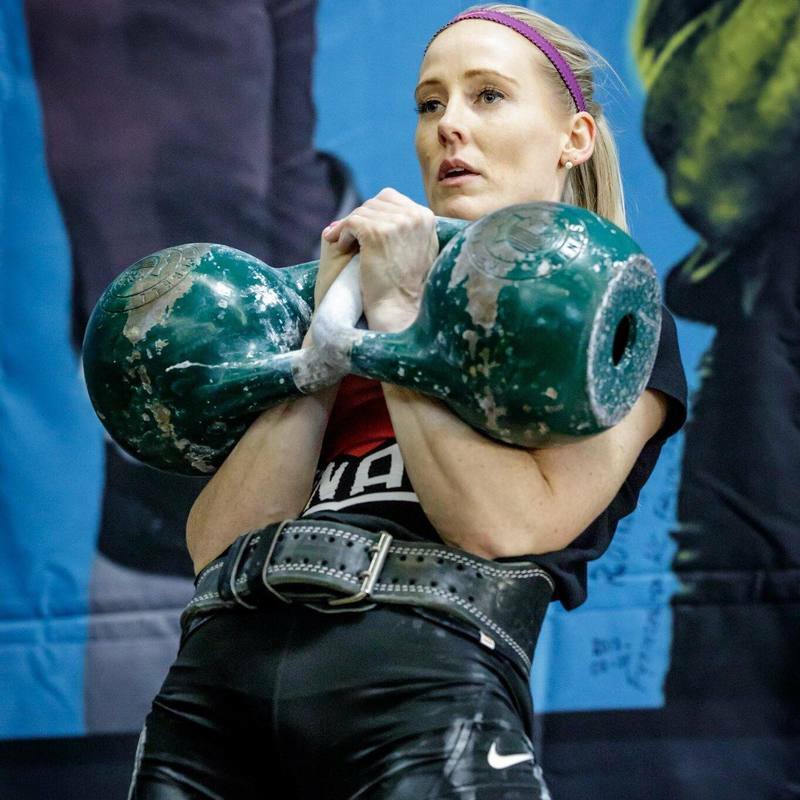 Thanks to KettleCamp training, I have not only lost 18lbs but have also become STRONGER This year I became the first woman under 58kg to compete at the WAKSC World Championships and set a World Record in 2x24kg Long Cycle." 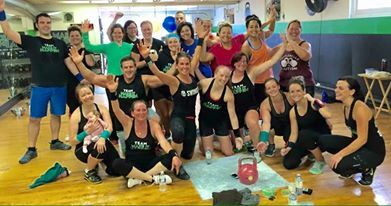 "Jen's KettleCamp has kept me fit throughout my years and has been an instrumental part towards me being successful in my rugby career, and may be why I'm still playing professionally at the age of 38. As a professional and National athlete, I was looking for something to improve my anaerobic fitness. 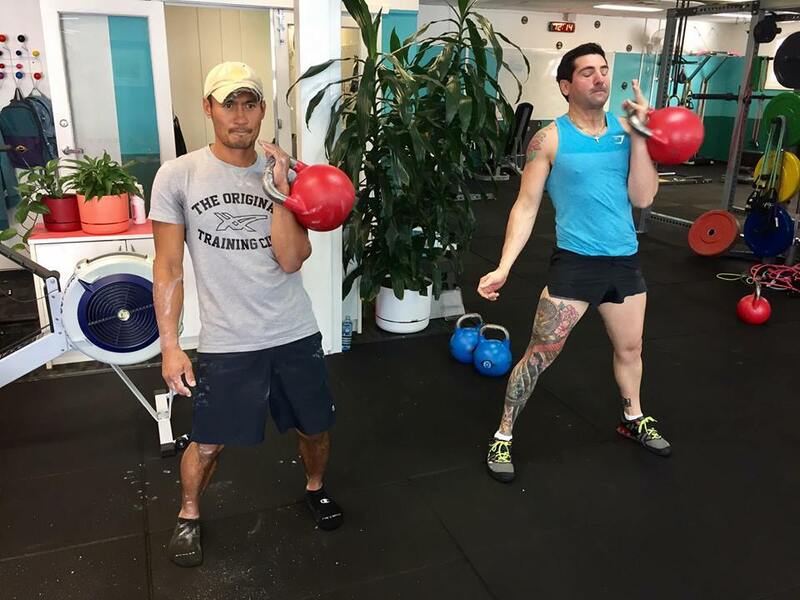 After my first week of training, I had my tail worked off and was impressed with how the workouts were pushing me towards gaining what I set out to do with this new style of training. 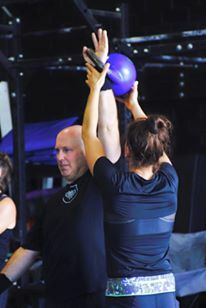 I realized at this time that my life as an athlete had been dominated by being coached only by male coaches. Were in need to break away from the boys club and be honest with everything. 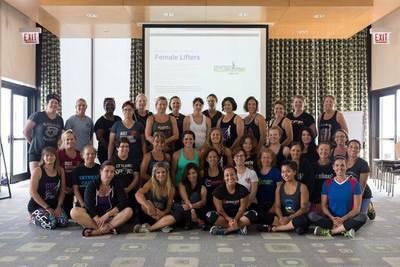 If people are good at their jobs and can make a difference then what does gender have to do with it." "I'm a jock at heart and have always been drawn to new and interesting styles of training. 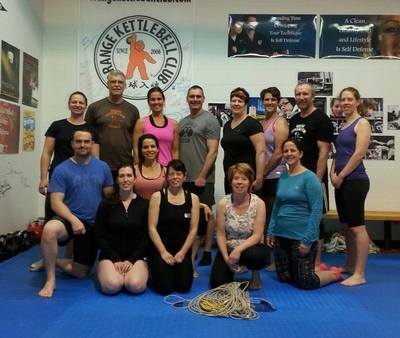 I appreciate a challenge so when I learned about KettleCamp training I had to give it a try! 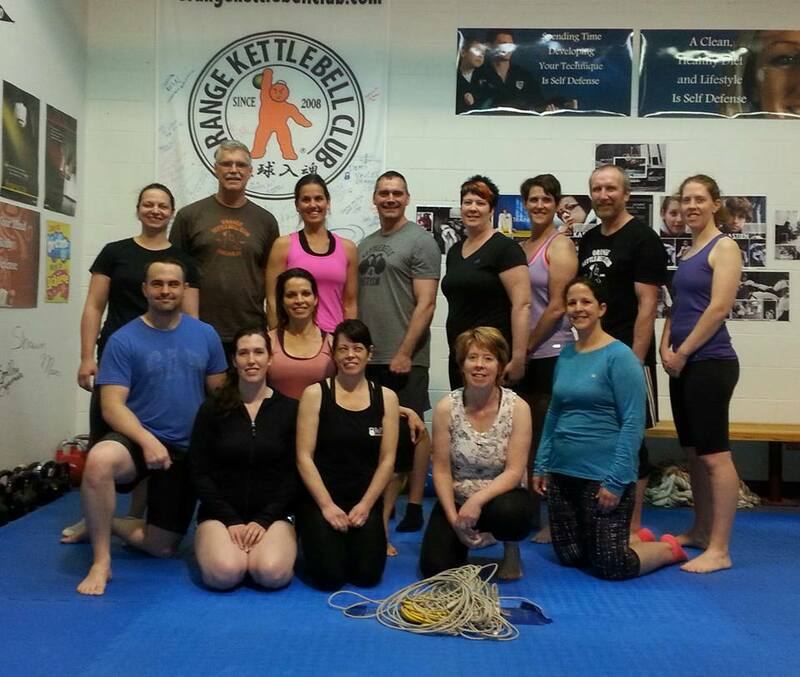 My first class was intense and very eye opening. I learned that I had lots to work on and that my entire body could ache after only 40 minutes. 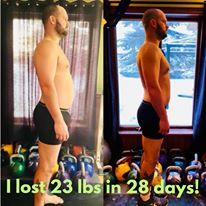 It blew my mind! 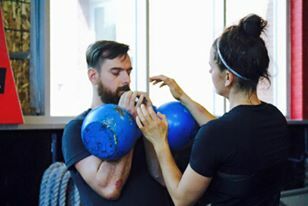 I've never been this strong before. 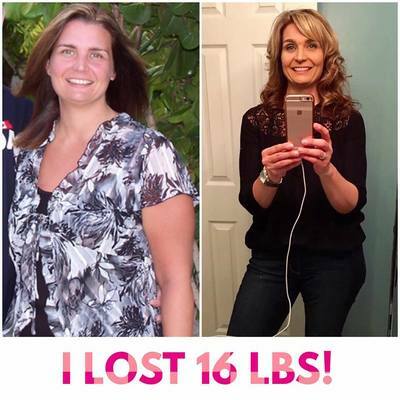 It's improved my running and made me a MUCH better volleyball player. 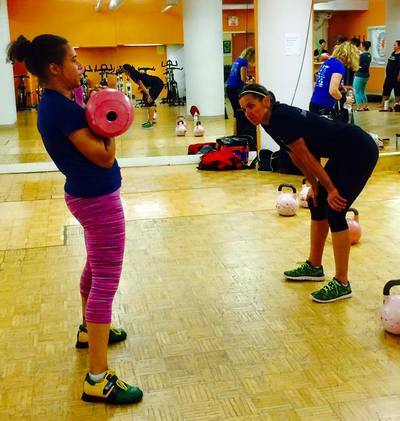 My coach couldn't get over the power in my serves!! 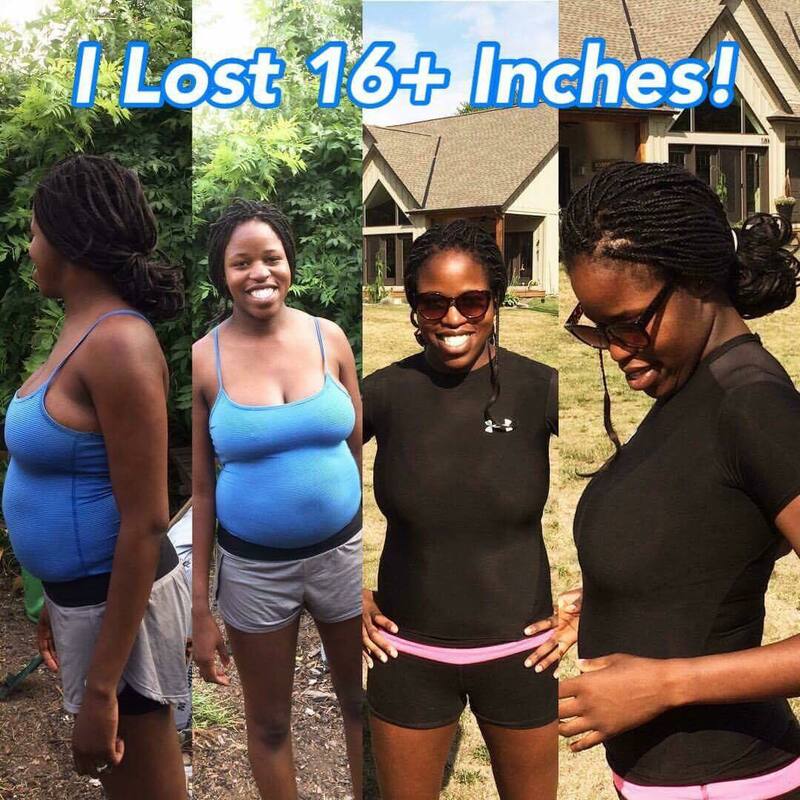 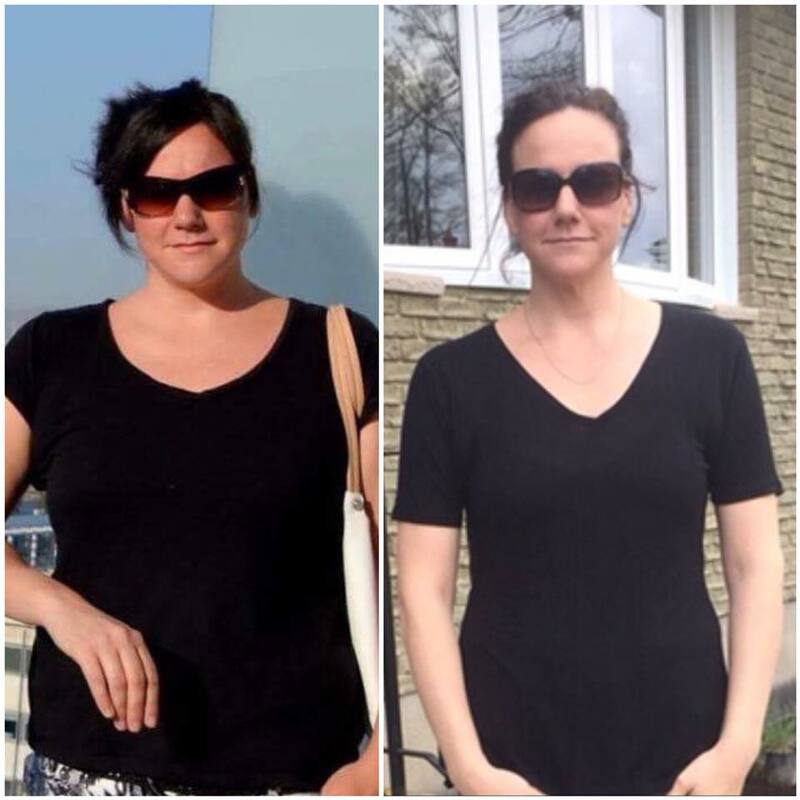 The results are instantaneous, I felt stronger after my first week, I used KettleCamp workouts to help me lose all of my pregnancy weight and I really just can't get enough!" 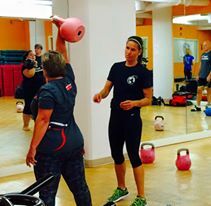 "I started KettleCamp training at the age of 58, lost 65 lbs in the first year and competed in Kettlebell Sport competitions at 60! 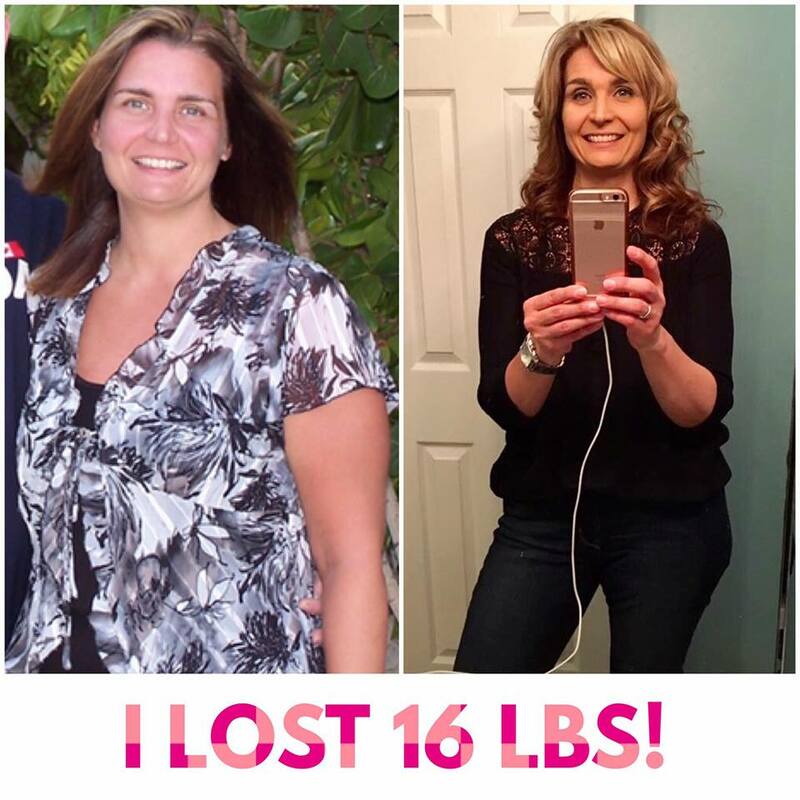 At 58 years of age, changing my lifestyle was hard to do but Jen's KettleCamp workouts get results and her personality and encouragement keep you motivated. 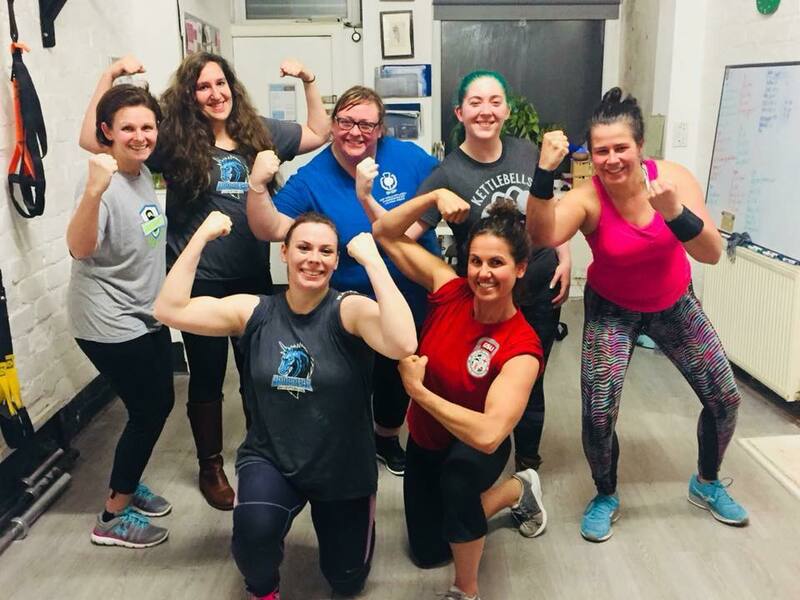 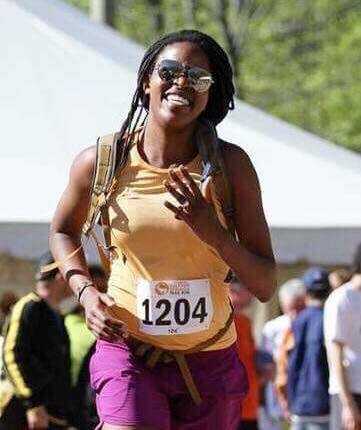 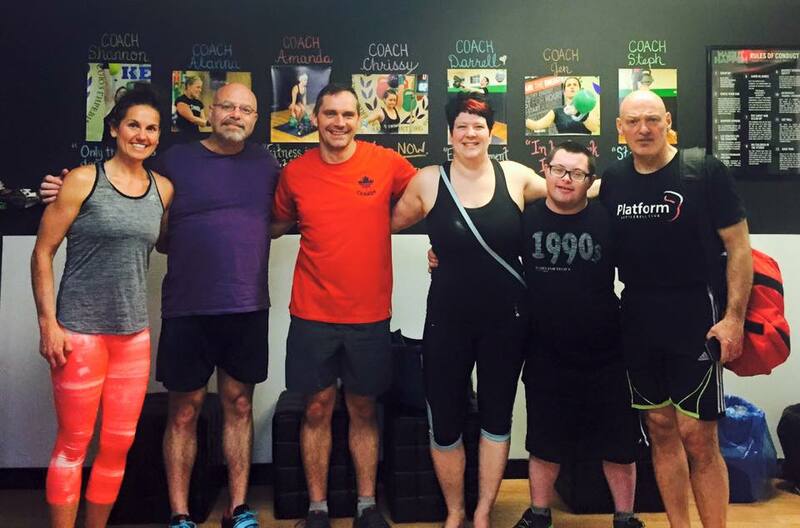 I've also taken many classes with other Certified KettleCamp Instructors and Jen's done a fantastic job of teaching them how to keep the spirit, addictiveness and effectiveness of KettleCamp workouts alive!" 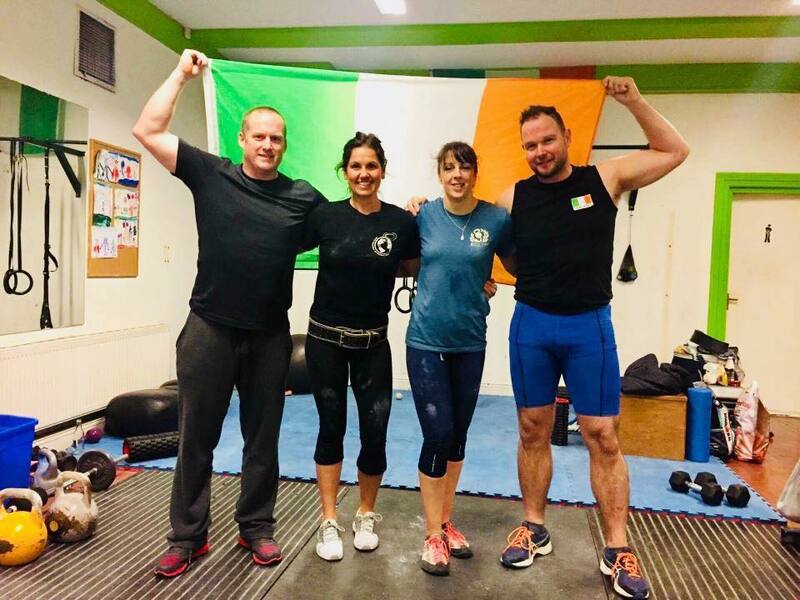 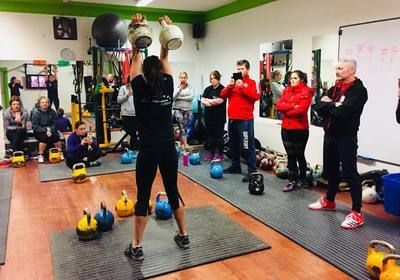 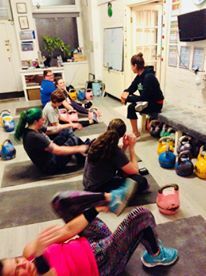 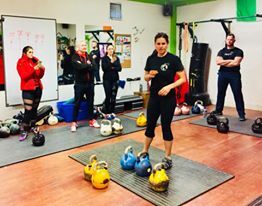 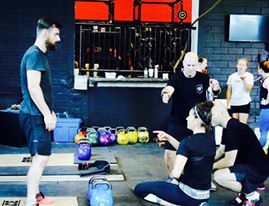 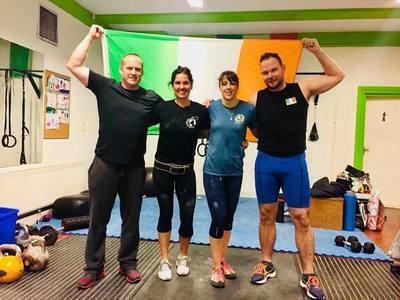 KettleCamp Classes, Kettlebell Workshops and Kettlebell Certifications taught by Jennifer in Canada, South Africa, Australia, New Zealand, Scotland, Ireland and the USA. 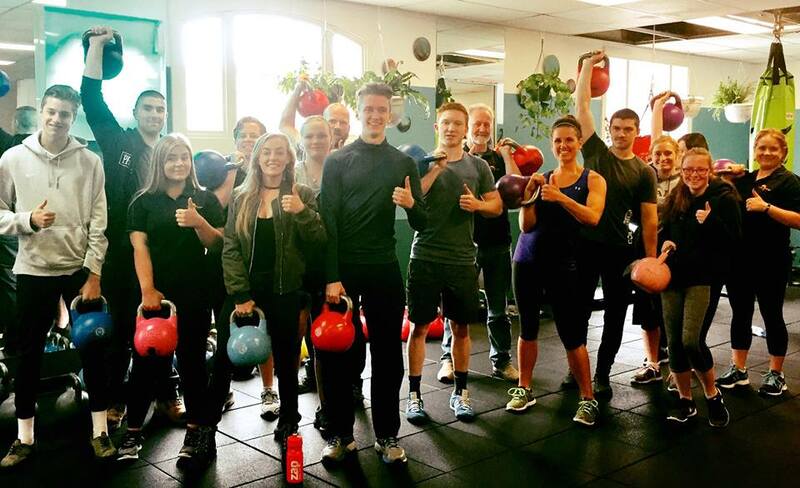 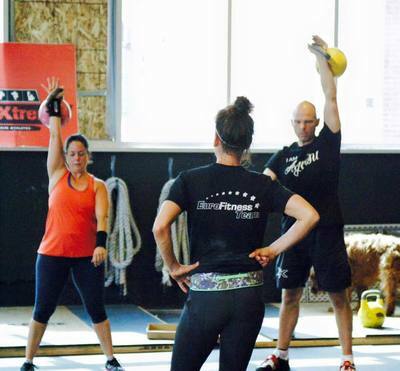 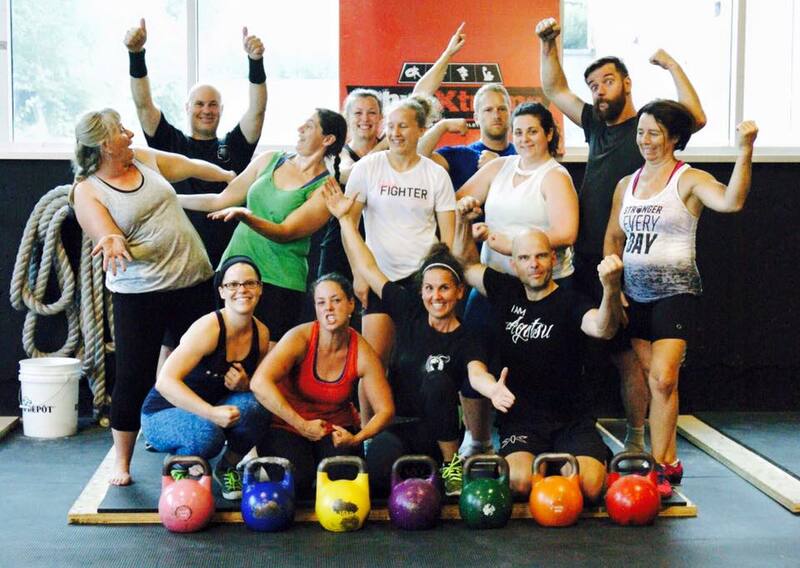 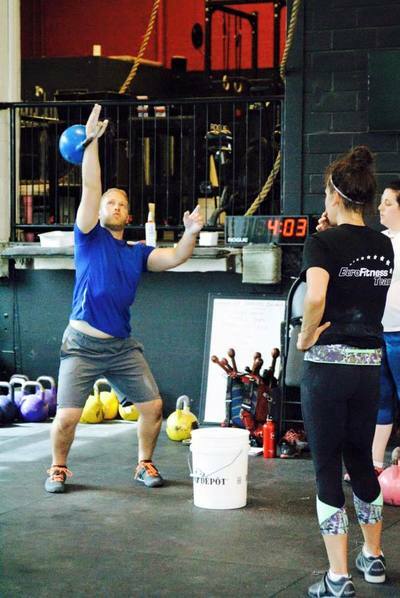 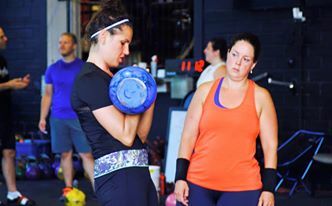 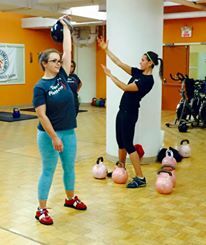 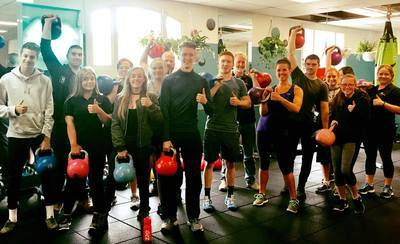 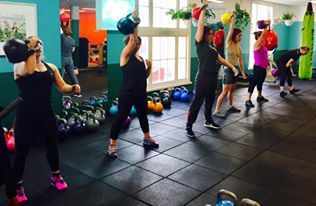 "When I first opened my gym I knew that my experience with kettlebells was the ticket to growing membership quickly because people are always looking to try something new and unique. 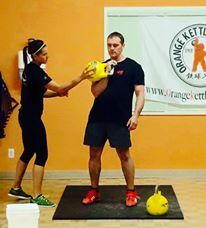 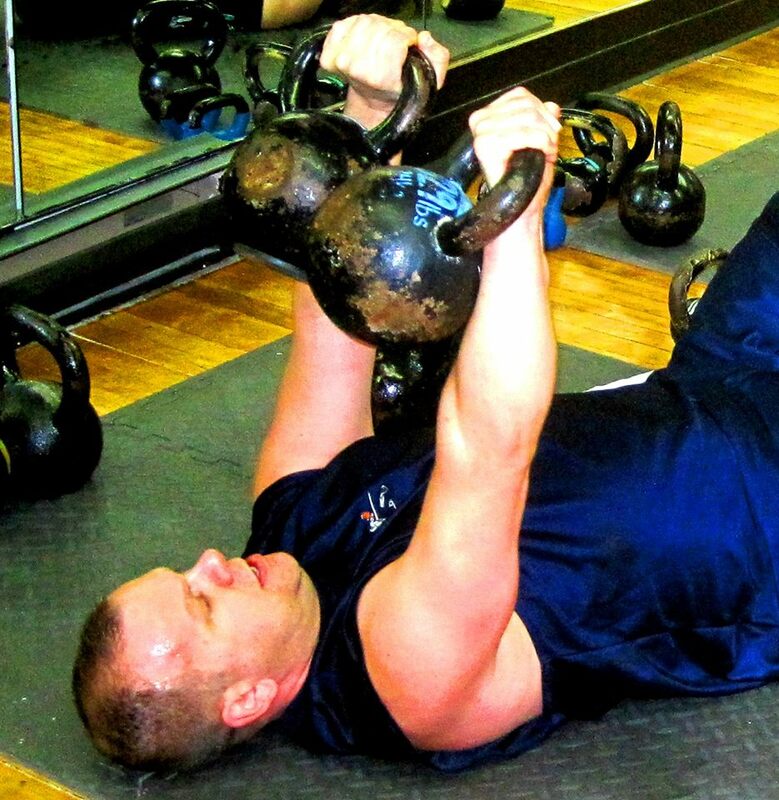 "Kettlebell" was a hot word at the time but I had no idea if it would be a short-term "trend" or if they would be a long-standing tool in the field of fitness and the movement towards functional exercise. 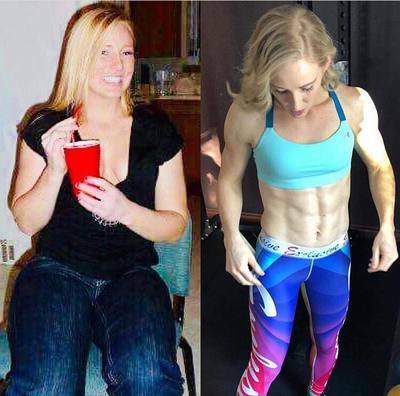 The later is an understatement. 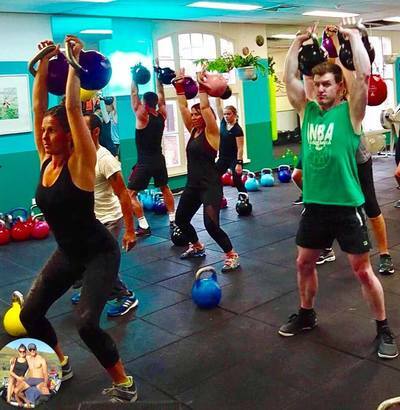 The interest in using kettlebells, for a multitude of physical goals, continues to grow monumentally every year across the world. 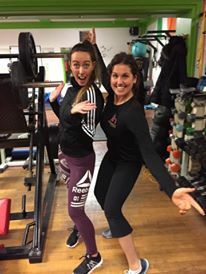 It's hard to become bored with a training style when you're having fun, staying mentally stimulated and seeing continual results!" 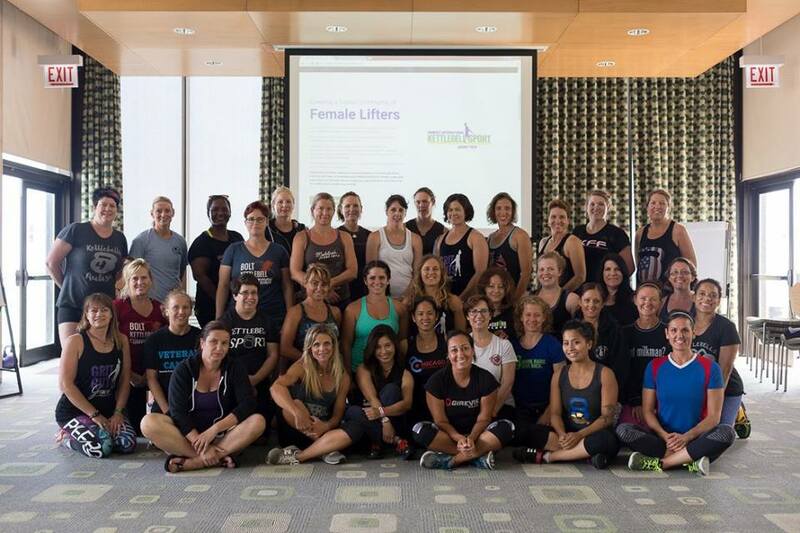 Contact jenniferhintenberger@gmail.com to host a KettleCamp Certification in your area.